(Reuters) - Oracle Corp, the world's No. 2 business software maker, said it would buy web-based marketing software maker Responsys Inc for about $1.39 billion to bolster its cloud computing offerings. Oracle, led by billionaire Larry Ellison, has been focusing on cloud software to fend off competition from nimbler rivals such as Salesforce.com and Workday Inc, which offer web-based products at prices that often undercut Oracle. "(The Responsys acquisition) further expands the company's cloud initiative, which remains a key ingredient to Oracle's recipe for success over the coming years," FBR Capital Markets analysts Daniel Ives said in a note to clients. The deal comes exactly a year after Oracle said it would buy Eloqua, a maker of cloud-based marketing automation software, for $810 billion. Earlier this year, Salesforce.com acquired ExactTarget, another marketing software maker, for $2.5 billion. Cloud computing, a broad term referring to the delivery of services via the Internet from remote data centers, is a favorite with corporate technology buyers because it is faster to implement and has lower upfront costs than traditional software. The Responsys deal could also trigger consolidation in the software industry in 2014 as larger firms explore new areas of growth, while smaller vendors continue look at strategic acquisitions. "In our opinion, this acquisition makes it more likely that NetSuite Inc or SAP AG would acquire Marketo," Ives said, noting that neither have made big acquisitions in digital marketing. Marketo, which has a market capitalization of $1.25 billion, also makes marketing software for businesses. Oracle's offer of $27 per share represents a premium of about 38 percent to Responsys' Thursday closing. Responsys shares were trading at $26.94 on the Nasdaq on Friday. 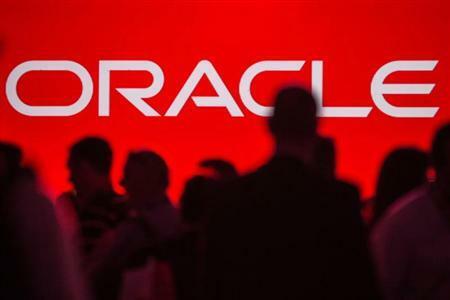 Oracle priced the deal at about $1.5 billion, net of Responsys' cash. Oracle shares were down marginally at $36.65 in midday trading on the New York Stock Exchange. Marketo shares jumped nearly 10 percent. The Responsys deal, Oracle's seventh acquisition in the year, is also its biggest since it acquired network gear maker Acme Packet for $1.7 billion in February.